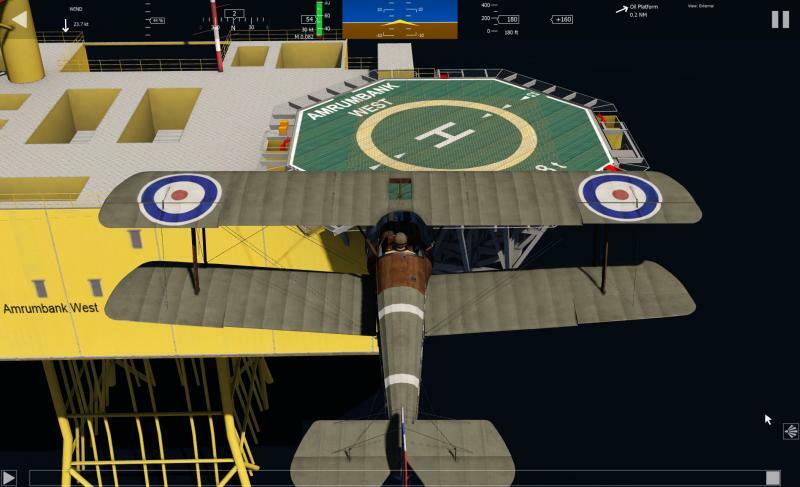 Hello, just buy Helgoland for AFS2 on your store but don't understand how to install it with the Steam AFS2 version (automatic installation seems don't work). Thank's for your help. would you check if you have the folder "Documents/Username/Aerofly FS2/Addons" ? You find there the addon also? Than'ks for your answer. Yes Aerosoft install seems create one . I have move c: documents/Aerodly FS2 to my E: previously because need more space for scenery. Maybee this is the reason it don't work? Is it possible to change the install path of helgoland? Did you move it there just by drag and drop or did you "officially" change the location for your documents folder like here? (which would be the correct procedure if you run out of disk space for Aerofly FS2 sceneries and want to have them on another disk, since Aerofly FS2 can only read sceneries from fixed locations like the documents folder). If the later one was the case, the installer guys may need to investigate why the installer doesn't find the correct location in the registry. We are currently writing a new installer to mitigate those kinds of issues. Expect an update soon after our testing. The install worked for me (to the C: documents folder), however, I would prefer to install it to another place for the same reason Raspou moved the documents folder. I really was looking forward to this release for AFS2! Thanks to all involved in bringing it to the platform. Will Helgoland be coming to Steam as DLC anytime soon (as is the case with Aerosoft titles for X-Plane 11)? I expect to purchase Helgoland and other future Aerosoft releases for Aerofly yet prefer to utilize Steam's interface to better keep track of my growing list of add-ons. If Helgoland will be released on Steam, should we anticipate Aerosoft would supply fixes/patches/updates directly through Steam? Hopefully your new installer comes out with an option to select a different drive and path for Helgoland. Don't like to change the default Windows location of the Documents folder for not interfering with other apps, apart of the fact that within a few months our drive C: will be insufficient to store all sceneries we'll have for AFS2. Don't like to change the default Windows location of the Documents folder for not interfering with other apps, apart of the fact that within a few months our drive C: will be insufficient to store all sceneries we'll have for AFS2. As of now this is a requirement of Aerofly FS2. Sceneries cannot be placed in random folders and called from there. 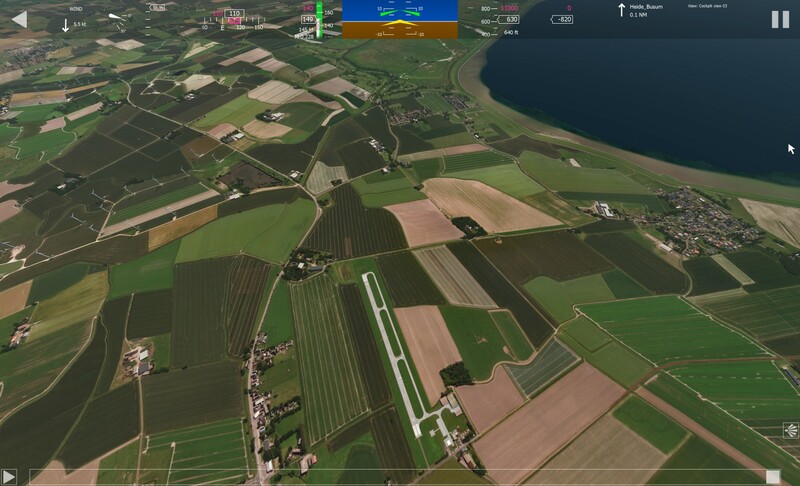 There is no such thing like a scenery library for Aerofly FS2. If that is something you really would like to see in the future I recommend you raise this issue directly in the Aerofly FS2 forums here. Keep in mind that this is a simulator under constant development and its developers are always happy about constructive feedback. so to make it clear. if we change our docs folder as stated, and move the origina C files there will all programs that use files there still continue to see them as if they were in the original place? There is no such thing like a scenery library for Aerofly FS2. Sorry, but this is totally clear and there's no discussion about that. I don't really think we should raise any issue to IPACS. In AFS2 you already have the option to place your user sceneries on another drive if you wish (being the main reason to save disk space in your OS drive), by modifying the main.mcf file and including on that file the alternate path on another drive of your choice. If you wish I can point you in the right direction to find the precise and detailed instructions originally submitted by IPACS. The point in discussion here is that by doing that exact procedure the Helgoland scenery does not work anymore (at least on my setup), and it shouldn't be any reason for this to happen. Have you tried creating a symbolic link and seeing if that works? Thanks for the idea, I'll check that. I think the next update needs to also address the low resolution scenery around Busum airport. My installation does not show the offshore installation, oil rig or any scenery except the two islands, one ship close by and the Heide-Busem airport and mainland scenery. Nothing else. The folders and files appear to be in the proper location but when I check the tsc files for the exact location and go there - nothing is there. I wish it would be that simple. Licensed aerial/satellite imagery doesn't simply fall from the sky (at least not for most German states), it is something that large sums need to be paid for as we did for the small part around EDXB and Helgoland itself of course. The lowres imagery used here is imagery used from Sentinel satellites (see manual's credits) with water masks added and color corrected. 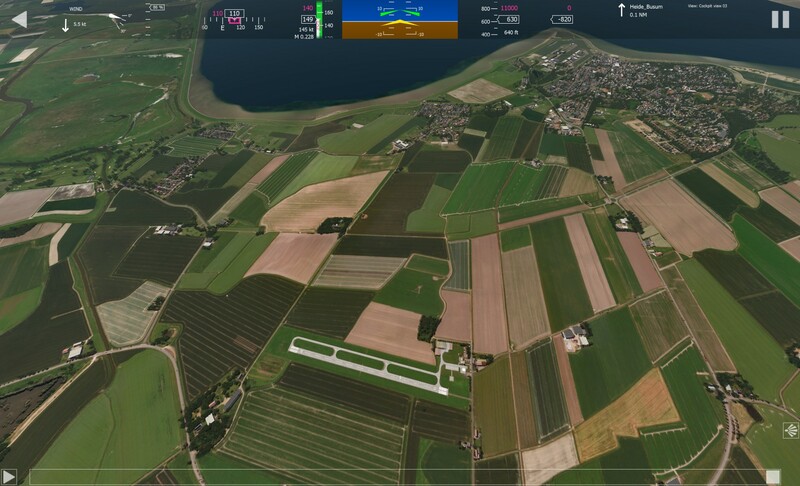 Its resolution is a lot higher than default Aerofly FS2 but still not overwhelming. 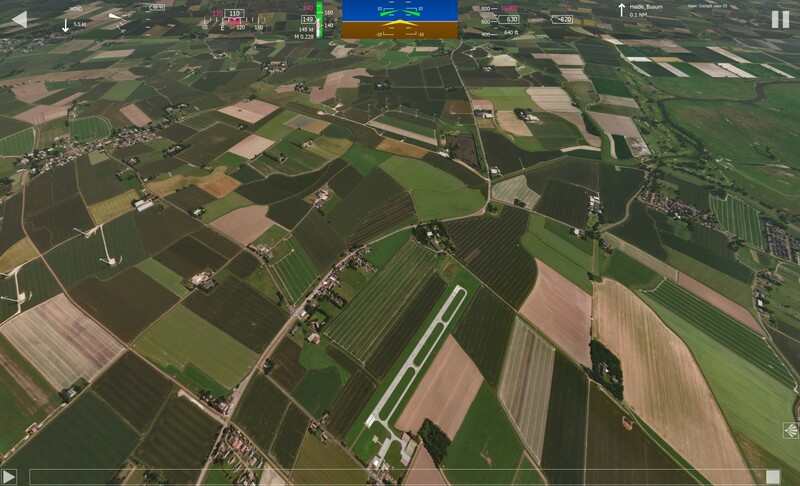 We are certainly considering a range of VFR products for Germany with highres imagery covering the whole country. 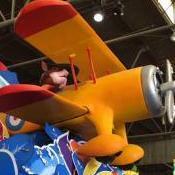 But for that to happen we need to see the sales potential of Aerofly FS2 first. A very good find, thank you! It remains I mystery to me why no one has seen this on the final checks, but attached is a quick fix. Unpack those into your install folder and delete the two existing files. That will make them visible again. I will also ask Aerosoft to update the installer accordingly. My apologies again: This should have never happened. OK. Your Quick Fix did indeed fix the tsc files. I now have wall to wall wind turbines in the water and the expected offshore platforms and the Mittelplate oil rig is now populated with equipment. Thanks for the update. I fully understand the cost of high res scenery is prohibitive for small and inexpensive scenery add ons. So I am guessing that you shouldn't mind if the AFS2 users upgrade their copies with the free FSET scenery. Here is what it looks like at 1m level 14. Only problem is the files size are rather large. 4 tiles = 723 MB. Steam puts all the stuff on my D: drive as there will not be room on the C: Drive for this sim and all it's add-ons. I would like to buy the Helgoland scenery once it can be placed on the D Drive also. Of course I would prefer it to be ported via Steam. Helgoland got updated to Version 1.01. The Installer now supports moved Documents folder and the offshore park is now visible. Wow. Quick work, indeed. Thanks. 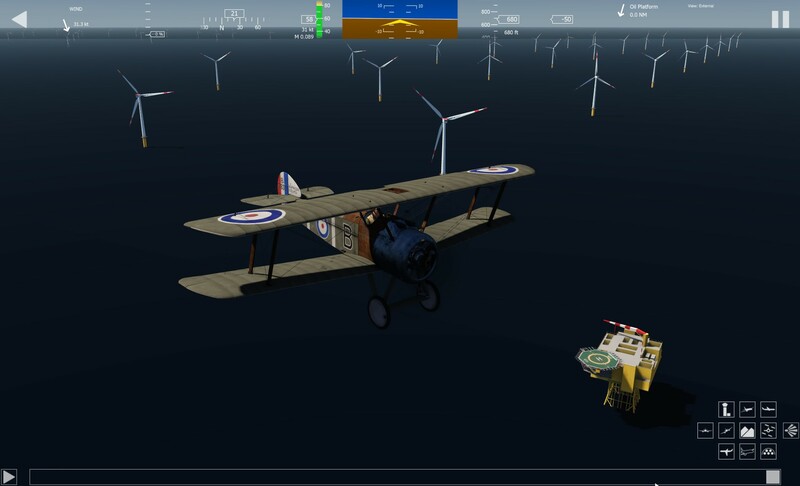 If you want a change of pace and some really fun flying in Aerofly FS2 and you have this Aerosoft Helgoland scenery for AFS2 jump over to the IPACS forum and let me know that you are interested in the details. 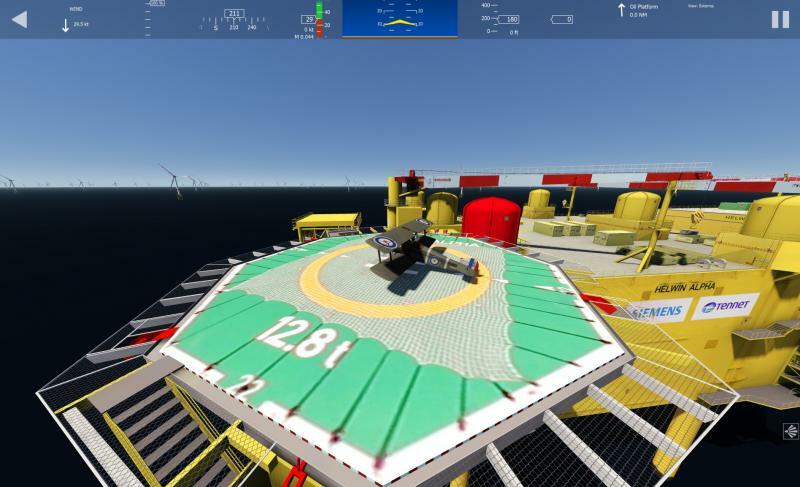 I will make a fun pack with the tsc files for the offshore platform helipads and we can takeoff from the helipads and land if you are good enough. Thanks Sasa, thanks Aerosoft.